For the most part, bike riding is unsafe. It requires you to be extra attentive and aware of your surroundings, but you are still able to relax and enjoy the ride. Riding bike is a lifestyle and passion it also has numerous health benefits like; it keeps your mind fresh, empowers self-confidence and adds on strength to the body. Inclusive of all these benefits there are many dangerous facts in which we must be alert and cautious throughout the ride. Even though we enjoy riding there is no much satisfaction when we go for the long ride, to add on the comfortability and safeness level there are many accessories available which will make your ride simpler and smoother. Now riding a bike will never be a risk with these accessories. It is one of the essential accessories for today’s world. Yes, nowadays people are always around the gadgets and it seems like we cannot survive without them. Sometimes when we go for a long ride, it is usual that our battery gets low very often and we need to keep charging it for our better accessibility with the people. So here comes the USB charger, which can be charged anytime anywhere during our ride. 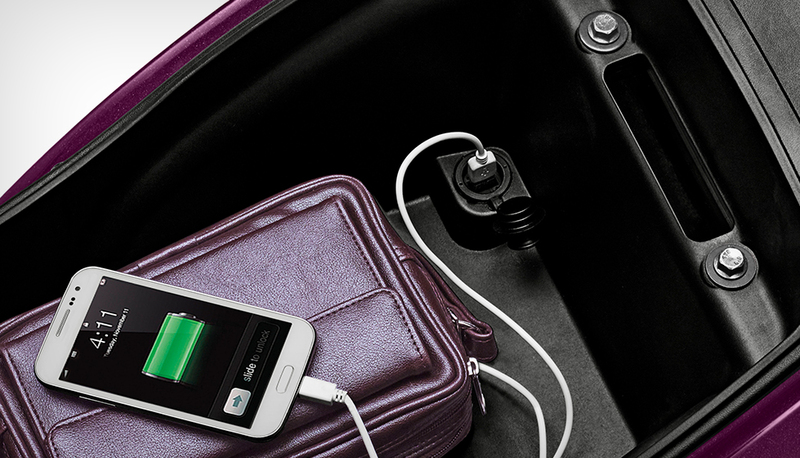 The Mobile Charging Socket for TVS Jupiter comes in-built under the seat which is compatible with all USB gadgets. Any kind of phone can be powered up using USB Charger, right start from android to your iPhones, iPad etc… Therefore, no worries of charging your gadgets, it’s all there. With this, it makes your ride stress-free and you can listen to your favorite music throughout the ride without the worries of “low battery!”. 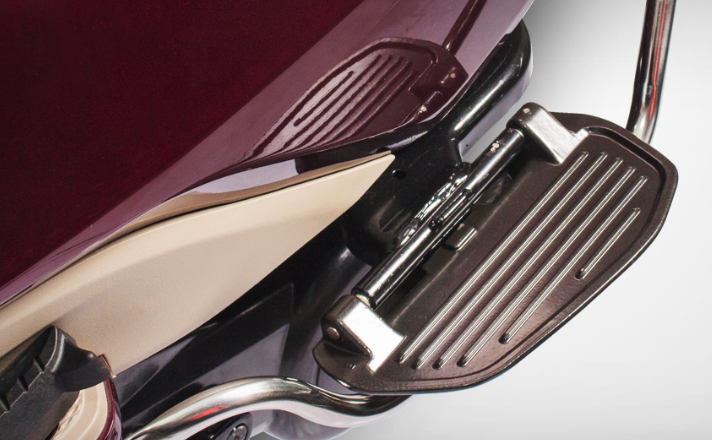 TVS Jupiter FloorMat adds on to the additional feature of the scooter. The matless floor gives the unfinished and incomplete look. Therefore usage of mats enhances the look of the vehicle and provides extra grips on the sudden brakes which avoids major accidents. Due to its virgin rubber material, any stains tend to happen can be washed away easily without disturbing the floor of the bike. An easy locking mechanism is provided for holding the mats firmly to the bike’s floor which avoids the risk of theft of the floormat and makes it a perfect fit. There are various patterns and colors available and it can be easily installed. It covers the entire floor and improves the aesthetic look of your scooter. It even avoids rainwater to get inside the floor which in turn causes to rust. 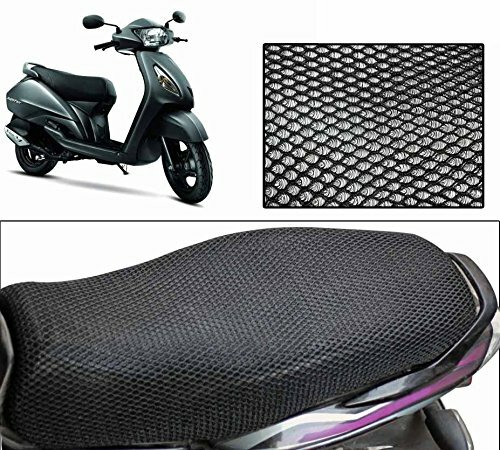 Buy this floor mats for TVS Jupiter for better enhancement to your bike. Usage of Seat Cover for TVS Jupiter is highly important to protect from scratches, damages, dust, rain, wearing and tearing. The usual bike seat has the leather shielding and it was not providing any kind of comfortability. But the seat cover made of mesh material adds on the maximum layer of comfort and also protects from all environmental threats. The main reason for using mesh material is that it dries up quickly after the rain which makes it convenient. It has velcro seat mechanism which holds the seat tight and firm without been loosened. Extra seating comfort makes our ride refreshed and relaxed. Its elastic material will be able to fit the entire seat which will not cause any damage. Enjoy any kind of ride with this seat covers. Use seat covers for the long-lasting vehicle. The Body cover is useful when the bike is not in use, that means when your bike is resting. Some people just assume usage of bike covers is not necessary, instead they just cover the bike with a cloth. Which is just a foolish thing to do. 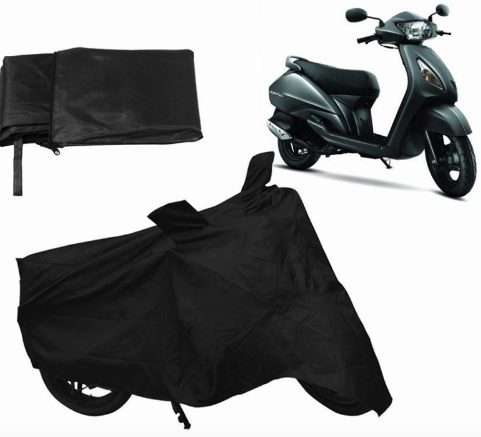 Body covers actually protect your bike from harmful UV radiation which has the ability to tear of the bike’s paint and makes the bike look dull and old. It is essential for overall protection for automobiles. It is also water resistant which does not let rainwater to get inside which causes to rust and suitable for all climatic conditions. Perfect fit for TVS Jupiter which encloses completely without allowing any dust particles. Protects from scratches and damages that appear to happen when the bike is parked without the body cover. It majorly acts as a shield for different bike parts from rusting and wearing. Once it is used, it can be zipped up properly for its frequent usage. Therefore usage of body cover increases the lifetime of the bike. TVS Jupiter FootRest gives chromic metallic finish enhances the look of the vehicle. It handles any heavy stress without any breakage and excellent handles are provides to hold the footrest firmly. Provides the comfortable foot resting place and the protective layer for the person sitting in the back. 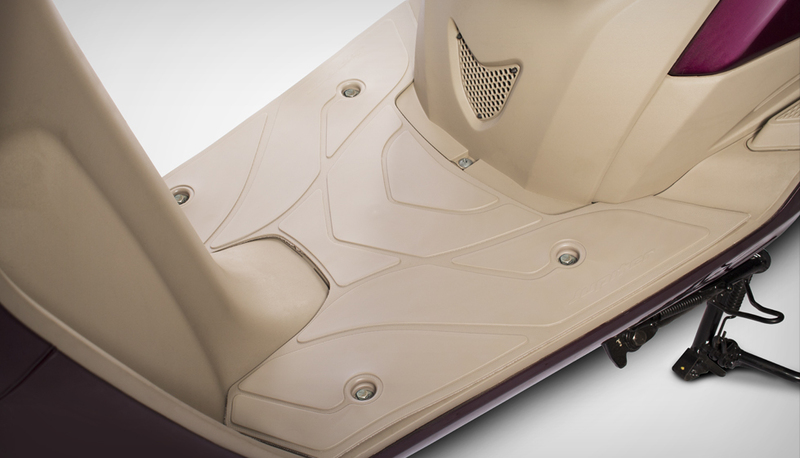 The FootRest is equipped with the extra layer of friction which avoids skidding on the sudden brakes. Requires the guidance of mechanic to fit it properly. Improper fitting can cause to major injuries. Uniform welding provides strength, neat look and longer life. Easy folding when not in use. 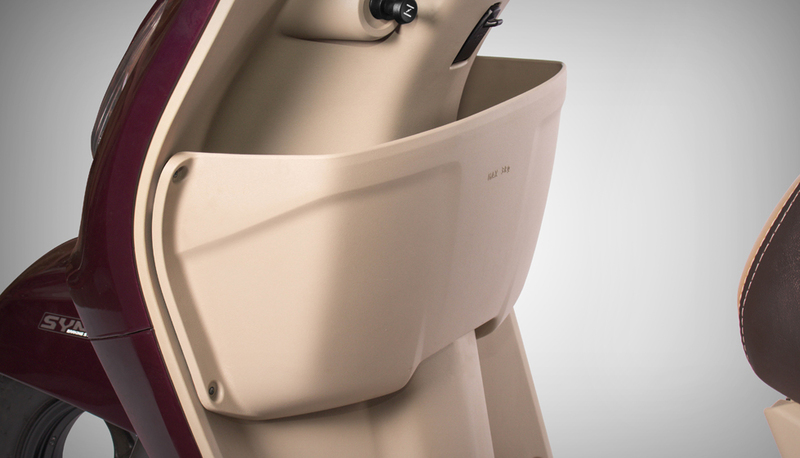 Use footRest stand to give the extra layer of comfort and convenience for the person in the back. Two-wheelers are often a shortage of storage facility which makes us drop the plan of long exciting rides. To avoid such scenario TVS Jupiter comes with the Glove Box with superior fit and finish. It is designed to integrate with the scooter body for better storage purpose to store our precious belonging during the ride. Requires mechanic assistance for the better fitting purpose. Majorly utilized during the long rides and better space is provided to store any valuables. It enhances the look and feel of the vehicle and adds on to the stylish factor of the vehicle. Usage of Glove Box gives us the convenient ride. Helmets might sound like an old accessory, but remember it always remains as a protector for your life during the ride. It is one of the most essential accessory to keep your journey safe and secure. But sometimes it’s irritating to wear throughout the ride, because it’s suffocating and also we feel some heavy load on top of our head. To eliminate all this burden, we have helmets which is lightweight and provides the rider with clear view of the road. To avoid suffocation, ventilation are provided with excellent airflow technology. Visor protect from harmful UV radiation which keeps us cool. During any great impact, it eliminates scratches and damages. It has easy to use lock mechanism and handles it during any major accidents. 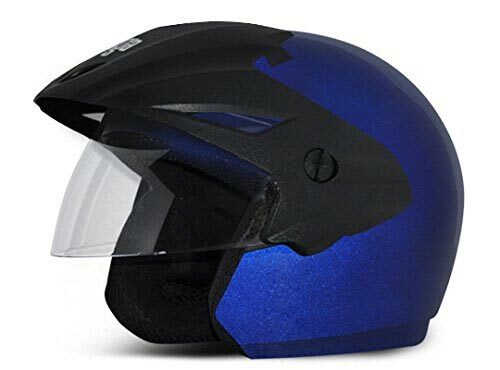 Buy this helmets for TVS jupiter which makes you feel refreshed and comfortable. Wear helmets to avoid major injuries. For the bike to run in proper functionality, Engine oil is very necessary. Use of improper engine oil can reduce the functionality and encounters bad sound during the ride. To eliminate it, use of proper quality engine oil is required which makes the bike ride without any disruptions and enhances a smooth functionality. It also reduces the sounds made by the engines when there is rise in clutch. Designed with the perfect synergy for less oil consumption, reduced engine internal friction and also extreme pressure performance to retain more power. 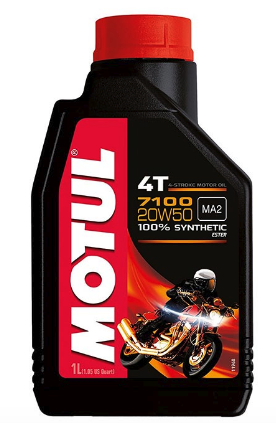 Use the best engine oil to improve the functionality of your bike and to enhance the smoothness of the ride. Polish, wait a minute. Did you say? Polish. Everyone likes polish. Polish means highlighting or making something look like new. There are many polishes, wooden polish is what comes to my mind first, where we polish the old woods to make it look new. The same way, we use bike polish, to make it look attractive and helps in making the vehicle look younger and highlights it. “Make your bike young with the bike polish”, Yes! we can’t keep buying bikes every year once it turns old, that’s impossible in reality. 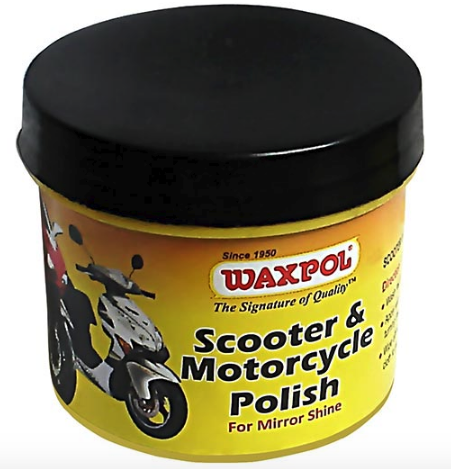 So, instead we can just buy this polish and with just 2-3 drops of it can make our bike look new and also it provides long lasting shine to the paint surfaces. This polish protects from UV radiation and also from the rain. It comes with the inclusive of sponge to polish the bike. Polish your bike to make it look good ever after.